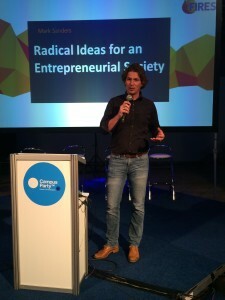 On Friday, 27 May at 0:00 AM Mark Sanders presented three radical ideas for the European Entrepreneurial Society to an audience of young (wannabee) entrepreneurs at the Campus Party in Utrecht, The Netherlands. 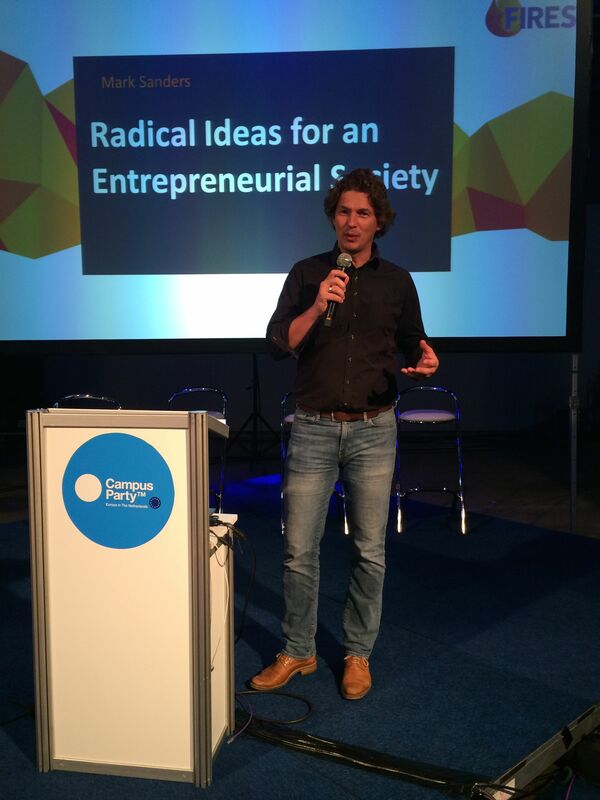 Campus Party Utrecht 2016 was part of the larger Startup Delta Startup Fest that brought together entrepreneurs, investors and many more stakeholders in the European Entrepreneurial Society in the Netherlands. Events in cities around the country, such as Amsterdam, Utrecht, Twente, Eindhoven, Delft and Leeuwarden, created the largest Entrepreneurship Event on this side of the Atlantic. FIRES was there. And although the proposed reforms were intentionally radical and very much out of the box, the audience received these wild ideas very well. It is clear that entrepreneurs are used to thinking out-of-the-box. FIRES will now engage with more vested interest stakeholders to convince them too that radical, but thoroughly considered reforms are also in their interest.